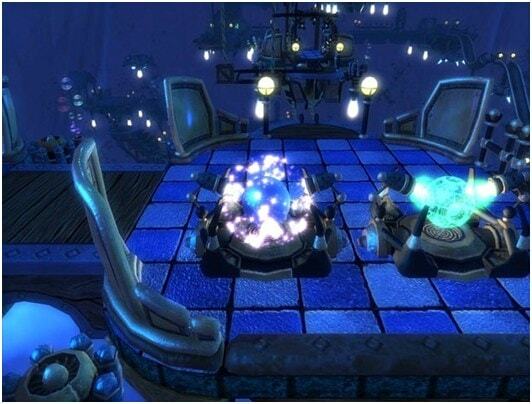 Switchball is a puzzle game very similar to Mercury on the PSP, except this is one for your Playstation 3 console. 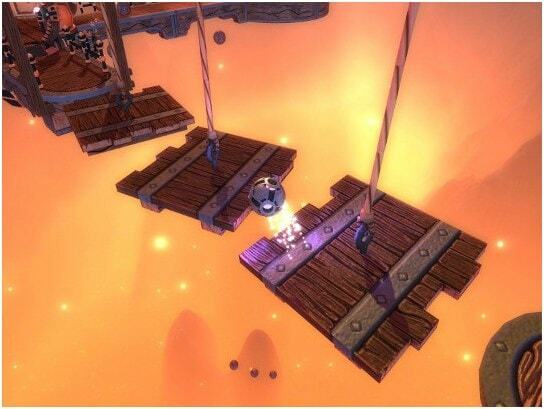 In each level you have to guide a ball from one end of the level to the other without dropping of the edge into the void below. 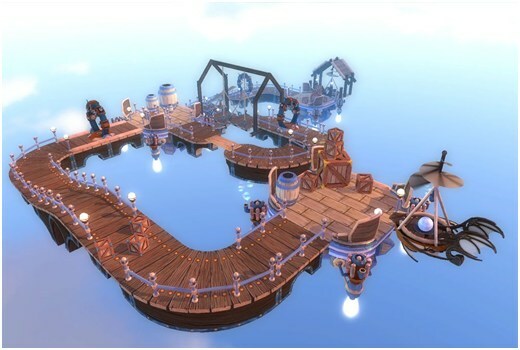 There are 5 worlds in the game with each one having 6 levels to guide through and of course, the further you get, the harder it is to reach your goal. There are two games types in Switchball, Free Play and Timed Play. But I don’t see the point in having these as there’s literally no difference whatsoever. In Free Play, you’re not timed on how long it takes you to complete the level, so you can just saunter through them if you so wish. The Timed Play does exactly what it says on the tin, in that you’re timed, but there’s no time limit. You can earn Bronze, Silver and Gold medals depending on how fast you complete each level but time never runs out. So why didn’t they just incorporate the two? So basically Timed Play is Free Play but you can earn medals for completing it quicker. There’s the added bonus of earning trophies for the amount of medals you achieve throughout the game, which will take you a while to collect as earning a Gold medal on later stages is tricky!! 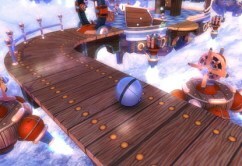 Throughout the game, you’ll find yourself having to change for another ball type as certain obstacles can only be accomplished using a certain ball. But it doesn’t get confusing as the converters lie right around where you need to change to continue. So if you need to smash through some heavy boxes, you need a heavier ball, or an air ball to get you up to a higher ledge using the fans. This a good as it makes you think a little more about how to pass certain problems instead of just doing the same repetitive thing over and over. You have ways on controlling the ball. One of them is the token analog stick and the other is using the Sixaxis controls. I found the Sixaxis to be a bit of a chore and not very responsive for this game as there are times when you have to gain speed to get through obstacles and I could never build up enough using Sixaxis. Whereas using the analog stick gave me better control over where I wanted to go and how much speed I built up. There are 3 camera types so you can navigate around the level to see where to go next which include, Manual, Auto and Chase. The chase camera just made me have motion sickness as it was moving around way too fast for my liking. The Manual is all down to you how you want the camera, but I found the Auto camera to be the best out of the three as it didn’t make me want to throw up after going round 3 corners in a row. The game looks quite scenic as the levels kind of hover in a vast area with images of mountains and the like around you, similar to the backdrops in Bejewelled 2. The actual levels have a cartoon-ish look to them which I quite like and look nicely polished in HD. I did find myself enjoying Switchball and it can get quite addictive. But of course with addiction comes frustration, so don’t be surprised if you keep screaming at your TV. I suppose that’s a good thing as once you’ve completed a level you feel like you’ve achieved something instead of just strolling through it all. If you like a good old puzzle game that will keep you occupied on rainy days, then I’d recommend getting Switchball.